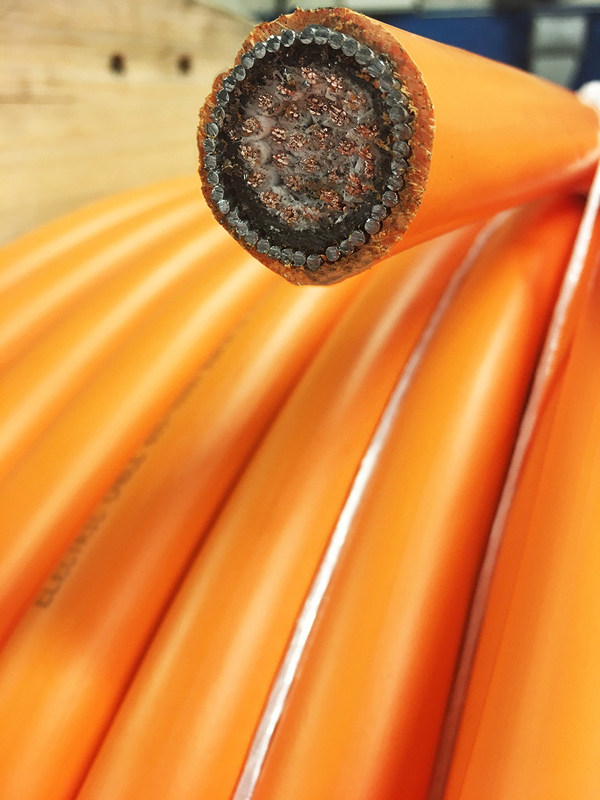 Permanoid offers a fast turn-around cable armouring and sheathing service. All you need to do us tell us the diameter of the free-issue cable and the type of sheath you require and we’ll design a suitable armouring configuration and send you a quotation. We use galvanised steel armour wires ranging from 0.90mm up to 2.00mm dependant on the diameter of the supplied cable. Final sheathing materials available are PVC (several grades), Polyethylene (medium & high density), LSHF & Polyurethane. The typical size range for this service is an input diameter of 6mm up to 29mm.